This was an interesting aspect of the unit – students who read the book quickly had to train themselves to go back and look for certain aspects of the art that reflected the writing. Believe me when I say, for most students, going back and re-reading is such an alien concept; most don’t even want to read something once, let alone twice for context and deeper reflection! 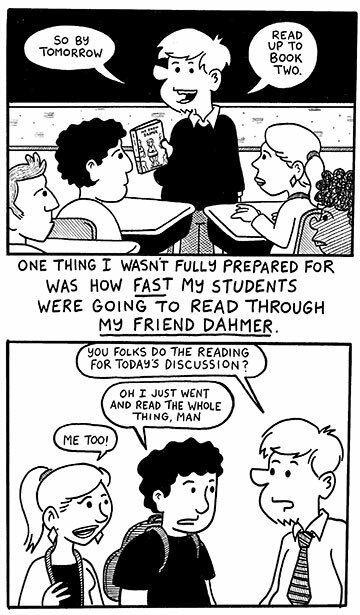 Students had a TON of conversations about the recurring motif of roads in My Friend Dahmer. They were awesome discussions… which were totally debunked by the author when we talked to him. I will be giving a talk at Miami University in two weeks! 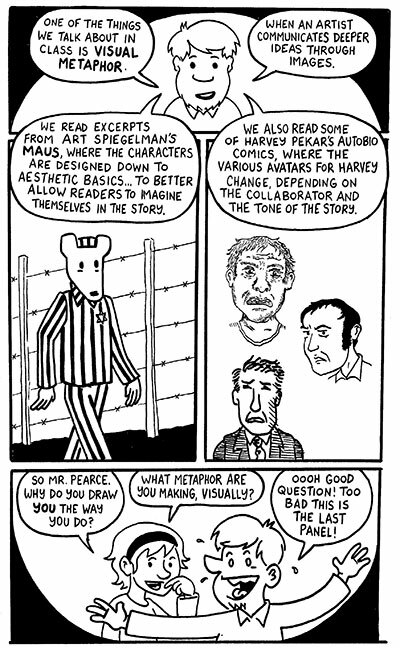 Chris Pearce is an educator and cartoonist recently profiled by National Public Radio. He is currently working as an English Language Arts instructor at Middletown High School. 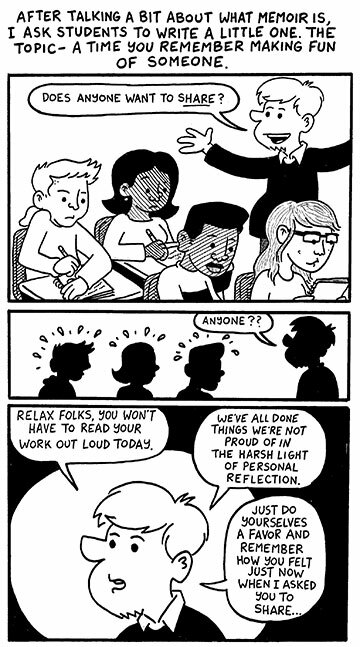 For the past four years, Pearce has been capturing the every day life of a teacher in his daily journal comic, Teachable Moments. 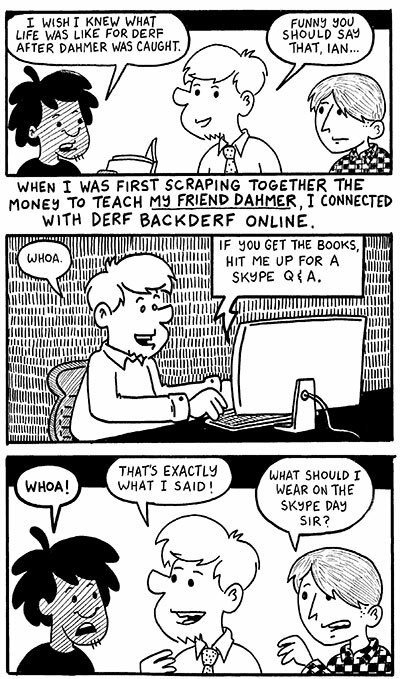 His comic has been a success with fans of autobiographical writing and comic art. He will discuss his comic creation, from original inspirations to his recent NPR article. Pearce will also discuss how the act of creating art has helped him to become a more thoughtful teacher, both in and outside the classroom. 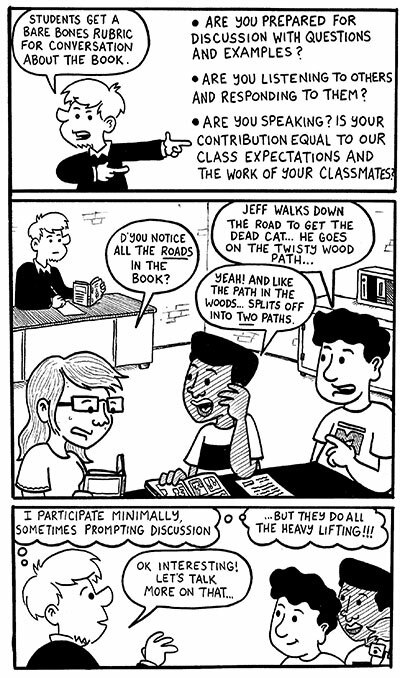 Learn how comics can challenge what we know about the traditional educational process! I’m very excited about the talk and hope to see many folks come out! Please excuse me if I start plugging this relentlessly over the next few weeks! You are currently browsing the Teachable Moments blog archives for April, 2015.